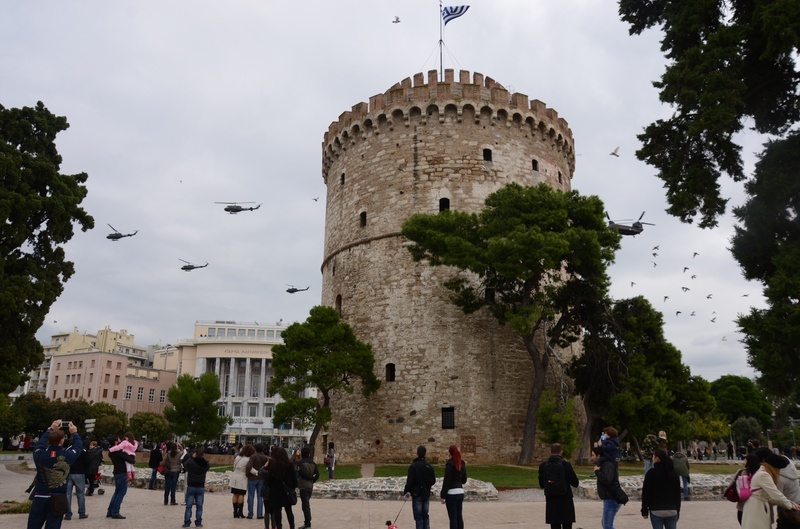 The White Tower at Thessaloniki during the country’s National Day ‘Ochi’ Day. I am standing at the front of the crowd, enthusiastically taking in the sights and sounds, happily snapping away with my Nikon, without missing a beat or a motion, when I realize that someone is shouting at the top of his voice,….in Greek. He sounds deranged so I immediately swing around. His eyes shooting anger are on me, brows furrowed and a crowd staring on in silence. He looks elderly and is clutching by the hand, two very young children. I have no clue what he has just rattled about. “What’s he saying?’ I ask loudly, to everyone and no one in particular. 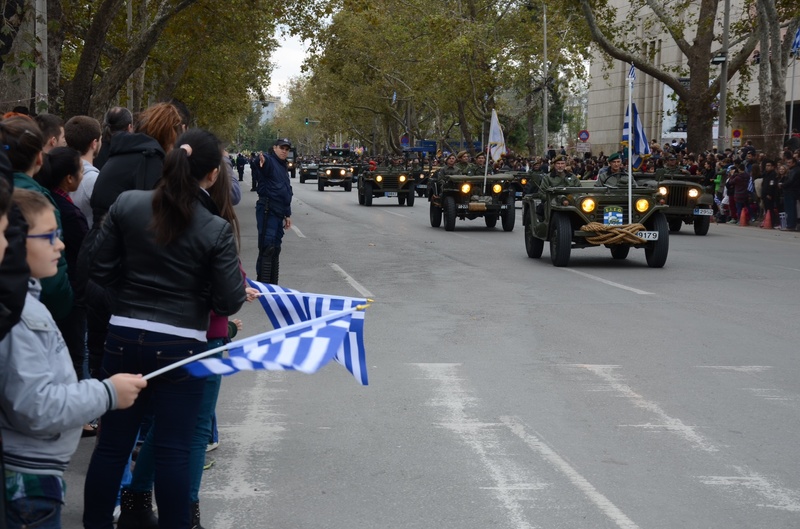 It is Ochi Day, and the Greeks have poured out into the streets of Thessaloniki to celebrate their independence. I have joined in, as I can’t remember the last time I saw a parade of this nature; with the whirr of helicopter blades and intimidating roar of air-force fighter jets overhead. The military display on ground is just as impressive, with tankers rolling by and the army an excellent show of force. 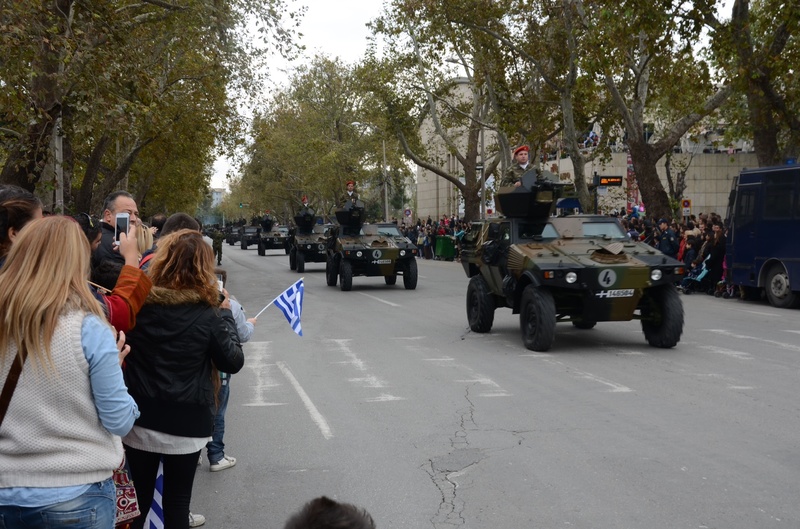 Of course I move aside, this day is important to the Greeks, a few people nearby offer me a spot to stand in, almost apologetically as they try to sooth things out in English. 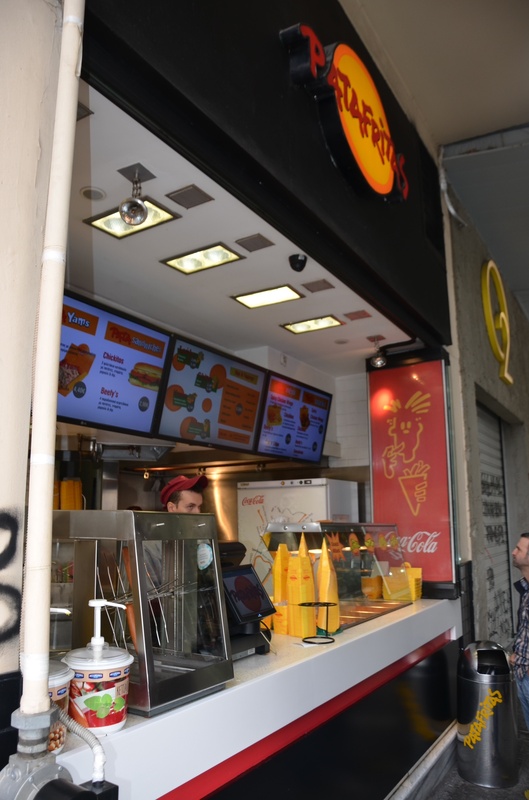 Despite the fact that it wasn’t too expensive to fly here from Athens, we deliberated between the train or bus and finally chose to come by bus. Tickets for either can be booked through their respective websites, or by purchase at the station. Our bus journey begins at 1:30 pm and ends at 9:30pm. There are several toll stations along the route, and as well a 25-minute break for supper at a restaurant and a visit to the toilet. 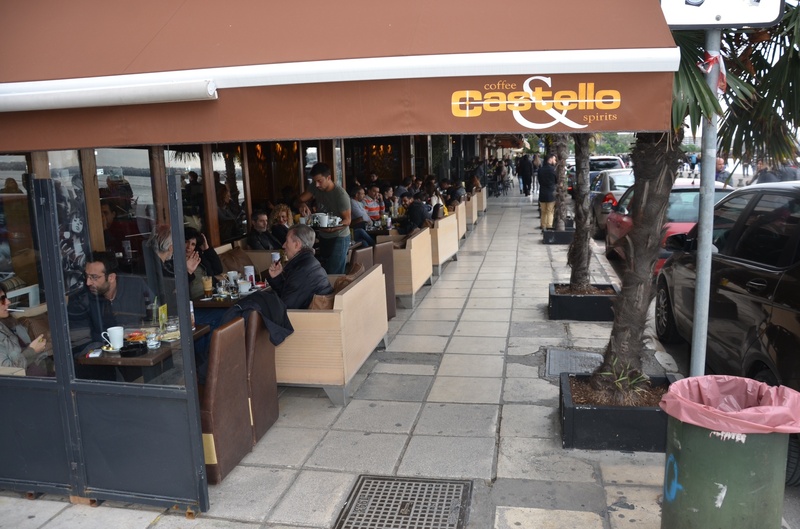 I have been excited to get to Thessaloniki…my intention I must confess is to use the city as a starting point to trace the travels of St Paul in the region and on to present day Turkey. I end up changing my itinerary completely as I get distracted. 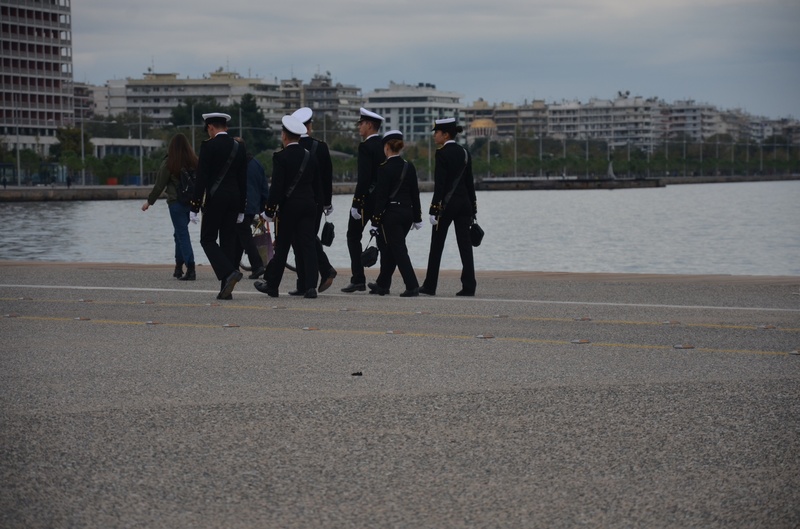 1) The loveability of the town: Thessaloniki is easy to love. Firstly, it is an attractive destination due to the abundance of its museums, ancient monuments, natural beauty and the sea. 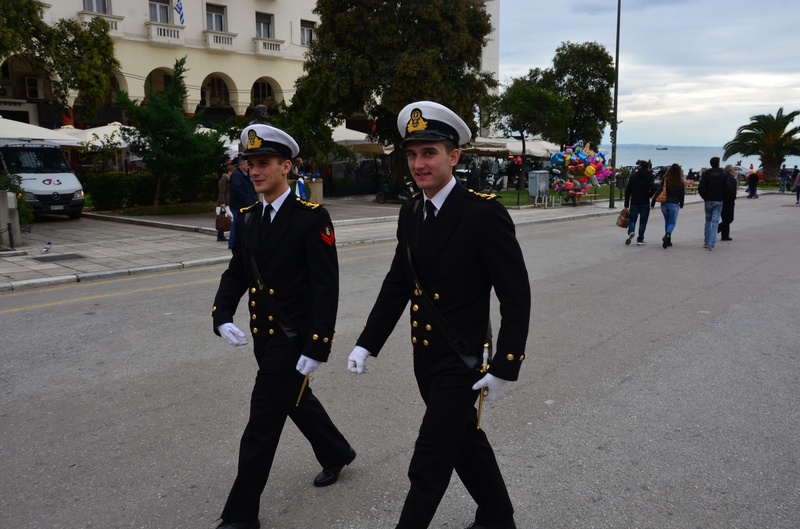 We bump into smartly dressed sailors, who look stunning in their stiff uniforms. I can’t help falling all over myself asking them if I can take their pictures. 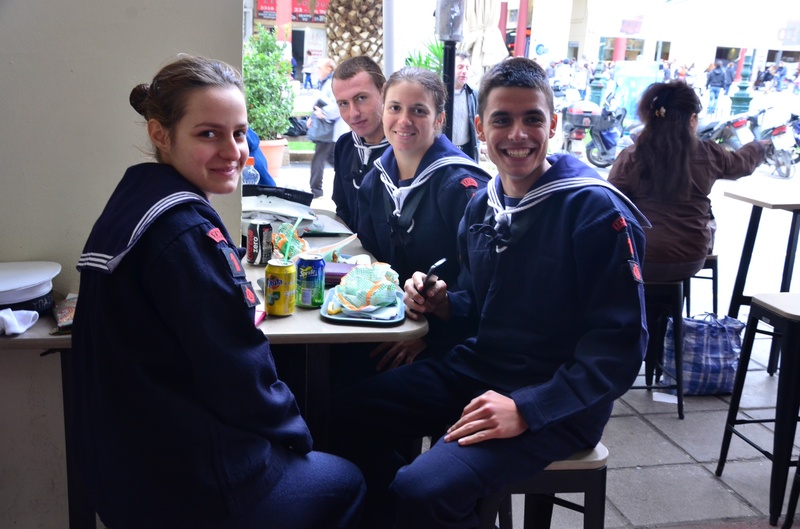 In the characteristic confidence of the navy, they all oblige almost coolly.. 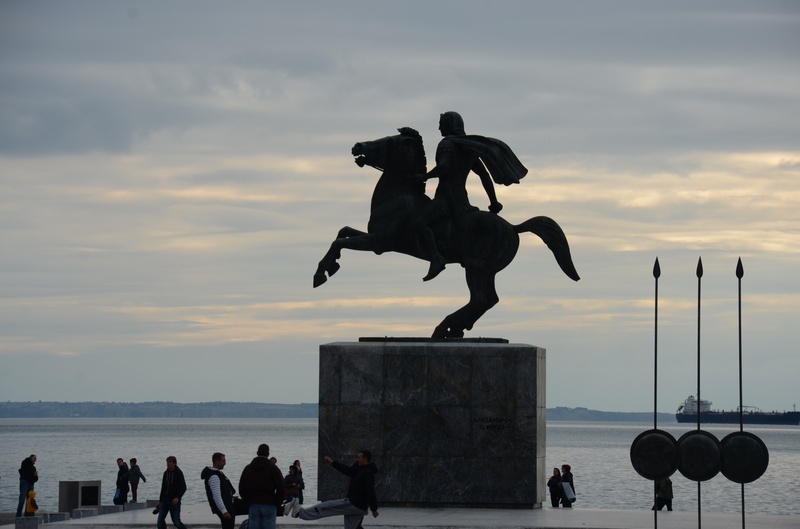 The statue of Alexander the Great by the sea. 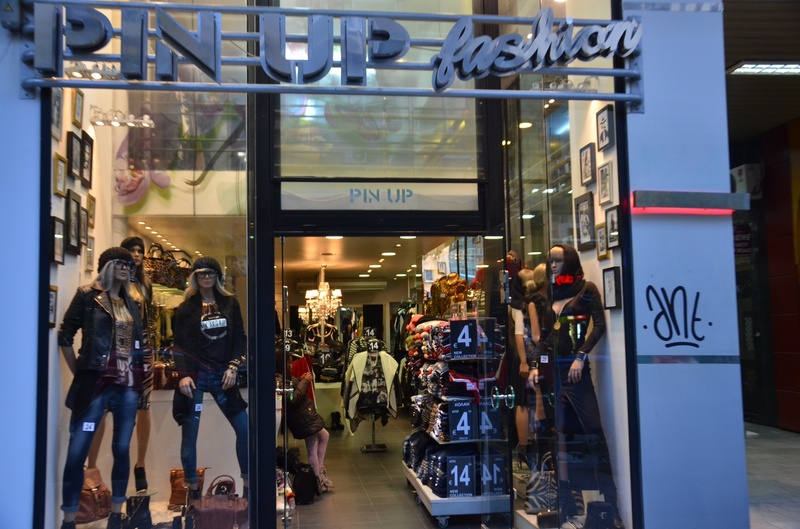 2) Fashionista’s haven: Everywhere I look I find stores, with beautiful clothes on mannequins who seem to silently scream, “You have to shop here…pretty please? ?” just like a scene out of Confessions of a Shopaholic. 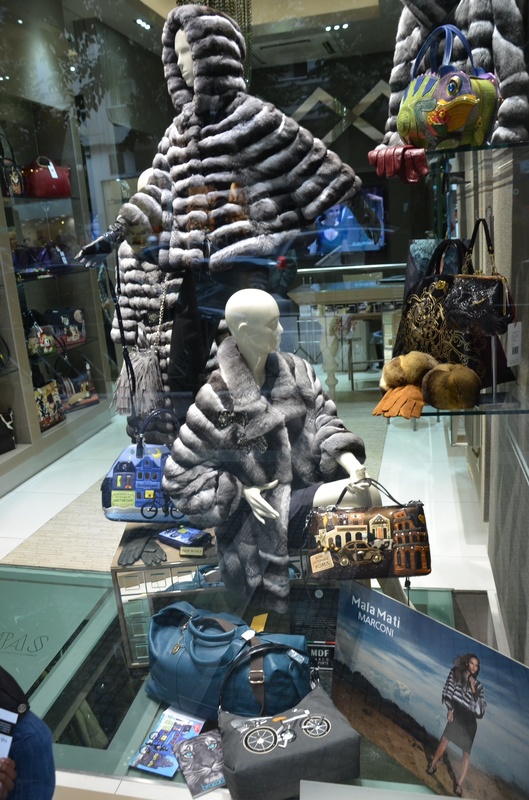 Thessaloniki is a shopper’s paradise where you can find anything from fancy designer stores featuring haute couture from Italy; to knick knacks, bags, rings and watches that can be bought on the street at lower prices. 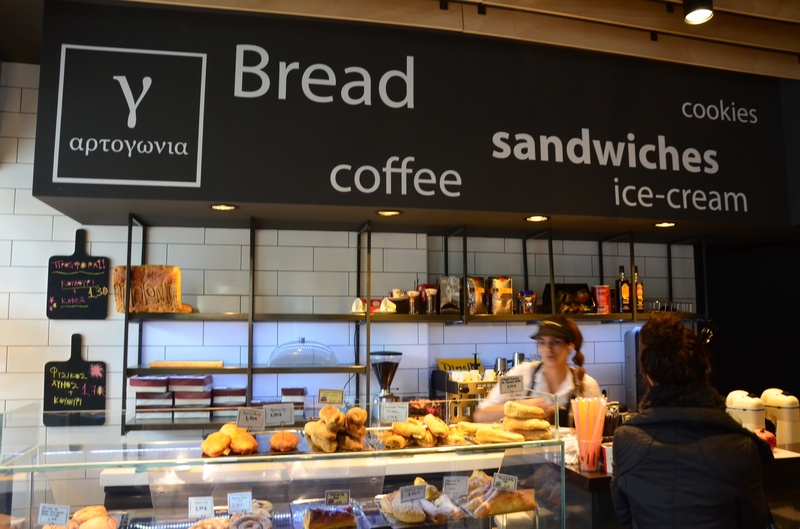 3) Eater’s Den: There’s an abundance of cafes and eateries as well for every budget. 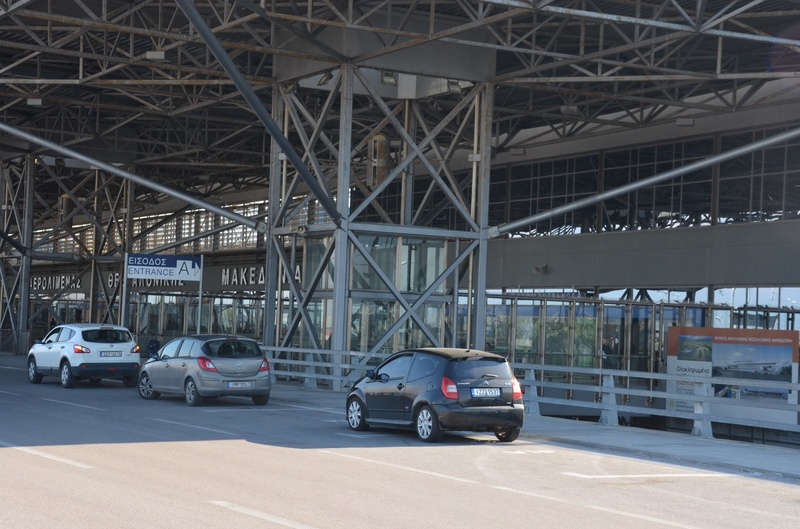 4) Clean airport: Love Thessaloniki airport and especially,…the fresh toilets! While with most public toilets a bad whiff hits you at the door, encouraging you to hold the contents of your bladder or bowels until you get home, with Thessaloniki it’s almost tempting to stay longer in there. The septic smell of bleach and cleanliness hangs about in the air, and the uniformed cleaners seem fastidious going over floors with their mops every few minutes..their toilets don’t get me going into cringe-mode. 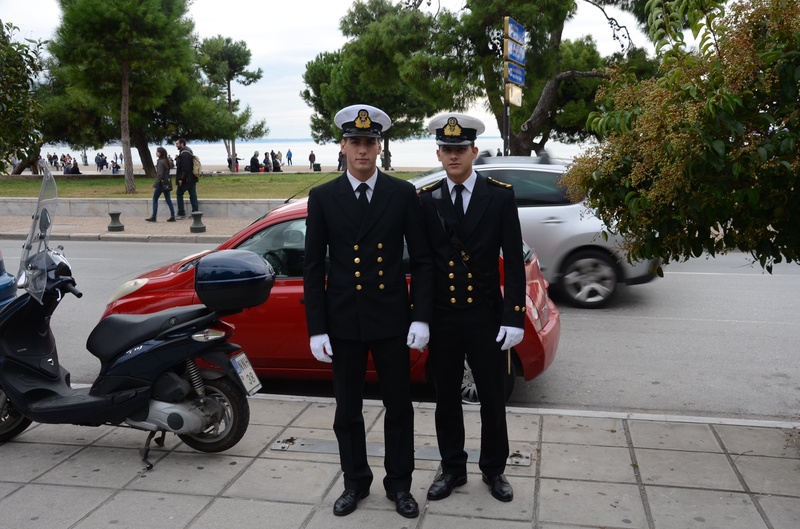 In conclusion: Thessaloniki is one of those cities that I just have to return to….I need to shop-till-I-drop, head off to see the Meteora, try to trace the journeys of St Paul and then sail on to Turkey..
Have you ever changed your itinerary after arriving into a city and what was/were the reasons for doing so? This is such impressive and beautiful post and combination of images – so detailed!